NS Recipe's Categories work just like Joomla Categories. Recipes can belong to several categories. Categories support Access Levels (public, registered, special, etc.). Prerequisite: Before going further, you need to think about how your recipes will be organized. ie, who can access them, how many subcategories you need, etc. A Category consists of a title, a description, a picture, meta keywords and publishing options. 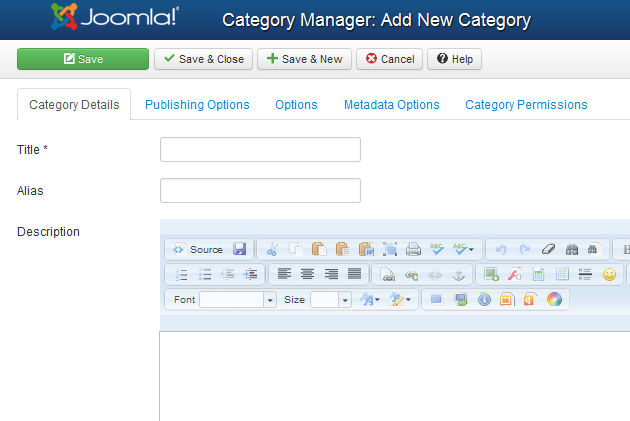 Tip: See How to add images to Joomla Categories? in Tips & Tricks section.